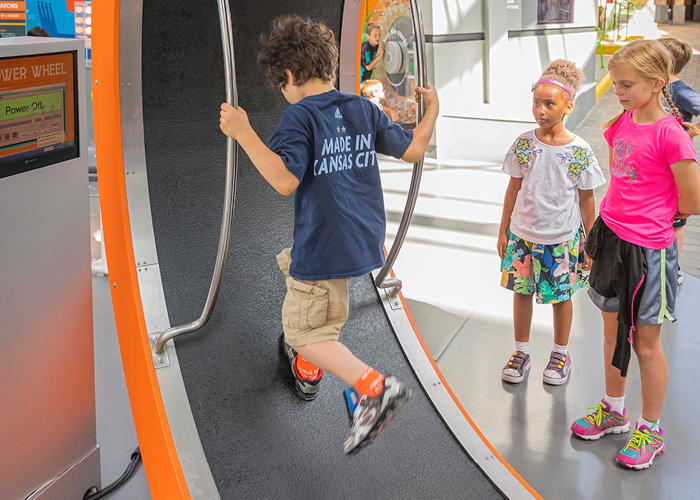 Step onto the giant Power Wheel and get walking to light up an Unplugged sign, while a digital display tracks speed, distance and watts of energy generated. 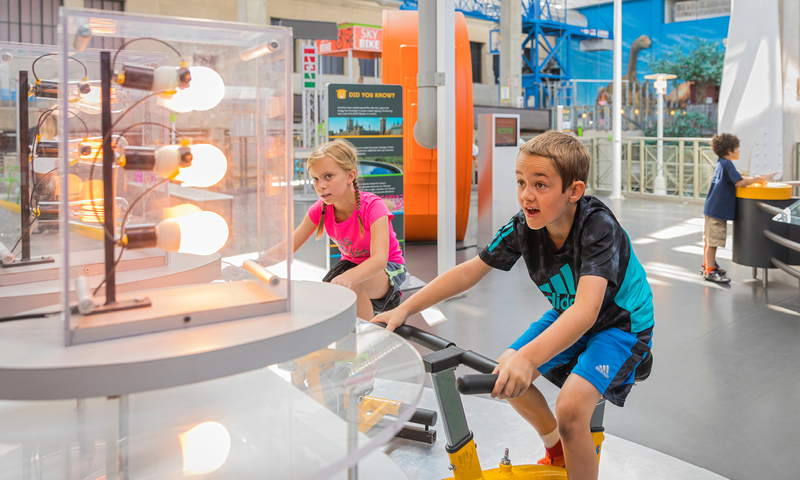 Demonstrate how the body is an energy-generating machine with the Bicycle Generators. 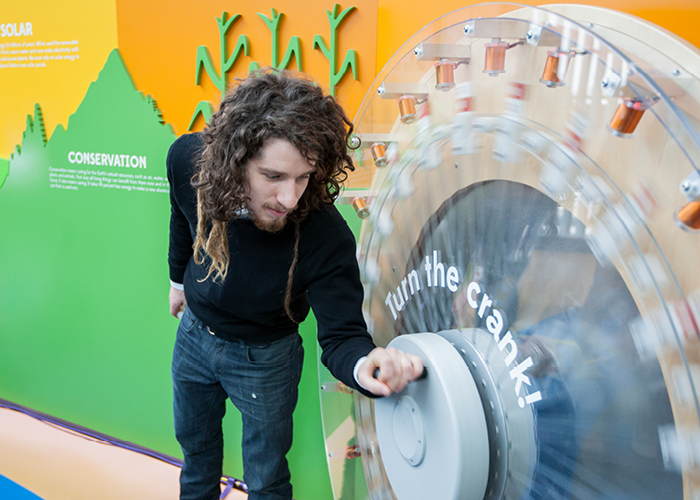 Turn the crank to power up lights and a fan at the Electric Hand Crank Generator. 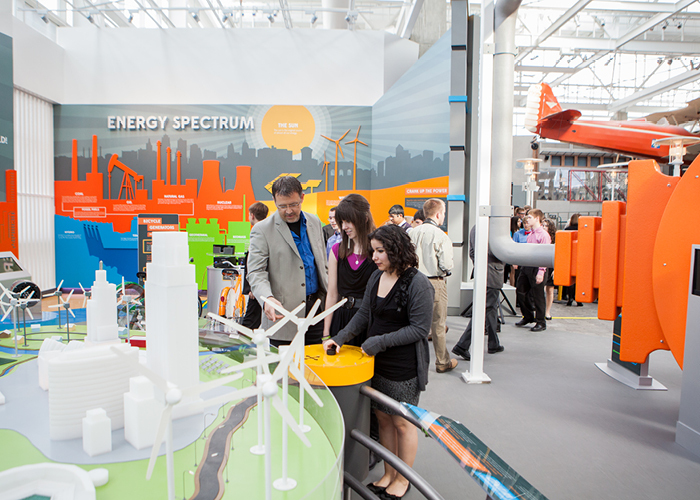 At the Wind and Solar Impact Table, learn more about wind and solar power and its role in our energy mix. 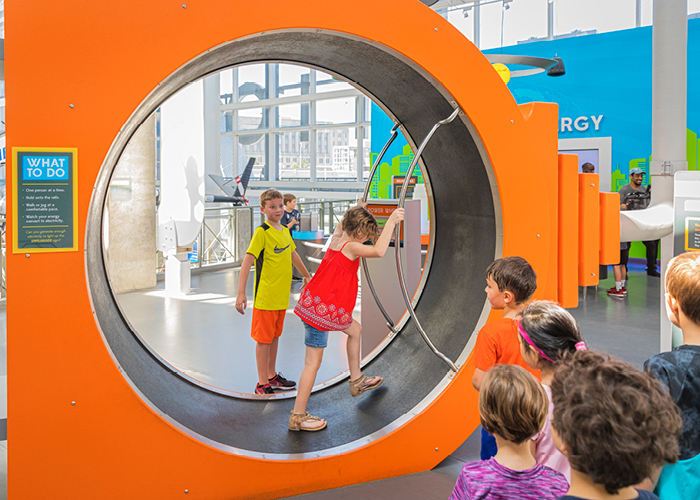 Turbine and Solar Panel Displays offer an up-close look at these renewable energy sources, including a massive turbine display. 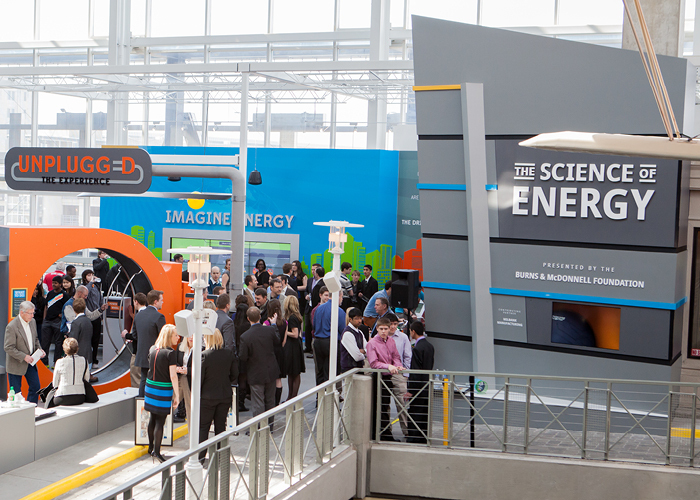 At the Energy Spectrum Wall, get a straightforward but comprehensive look at where we get our energy. 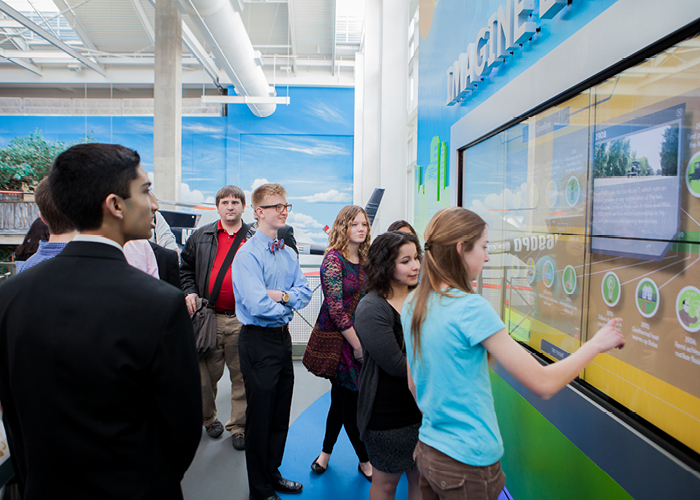 The Imagine Energy Digital Wall is a giant, interactive touchscreen with a world of information about energy — history, science, global perspective, future, careers and opportunities. 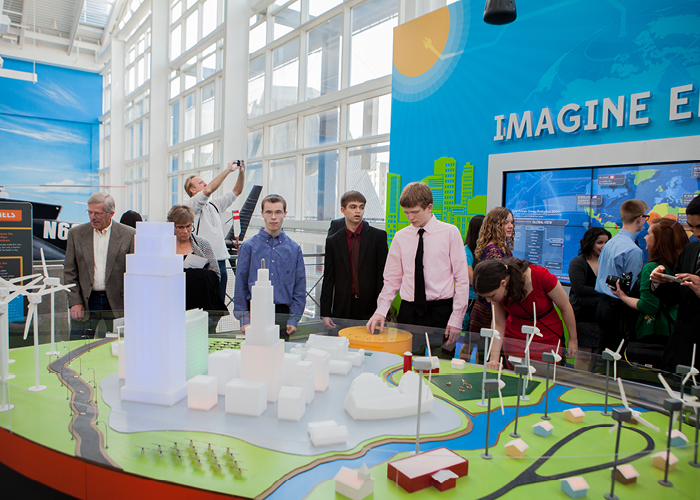 For the inaugural Battle of the Brains in 2011, Olathe North High School charged up the competition and earned the grand prize with a concept exploring energy and our relationship to it. 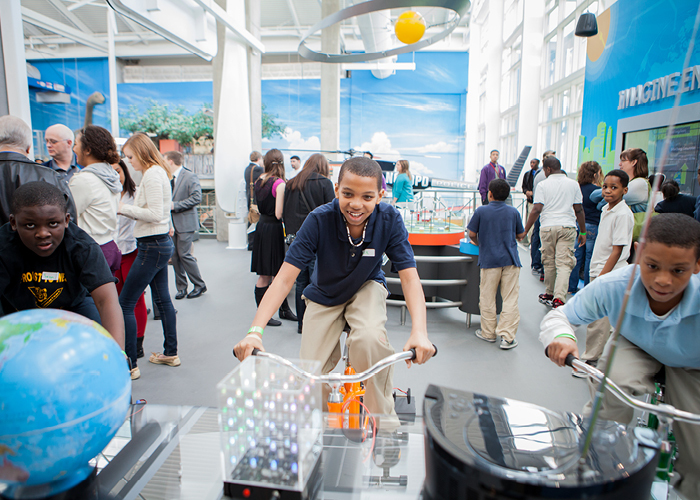 Visitors actively examine their own human energy and understand what it means to be unplugged. 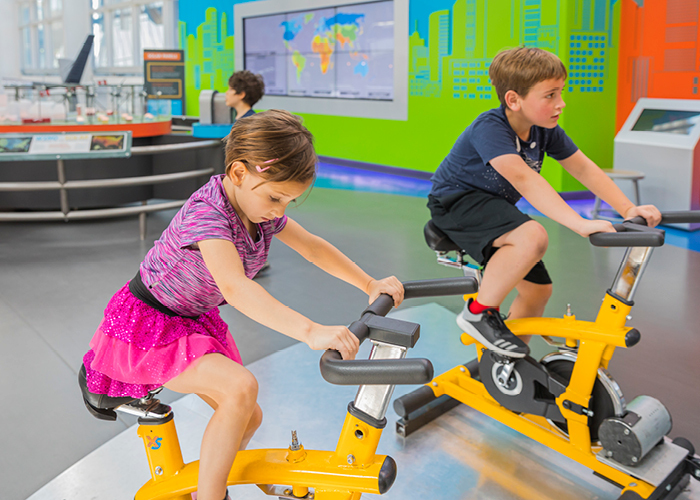 The student team worked with architects, engineers, construction managers and designers at Burns & McDonnell — as well as Science City staff — to bring these ideas to life.